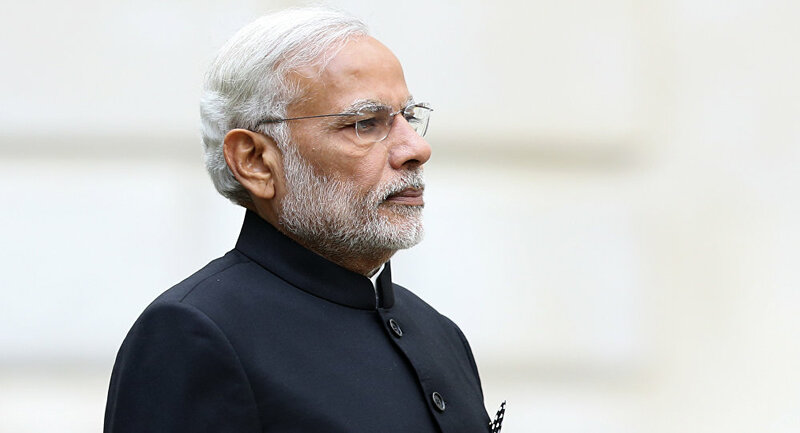 The slowdown in the world’s seventh largest economy has the potential to demolish Indian PM Narendra Modi’s popularity. Modi’s promise of 100 million jobs by 2022 seems a far cry as only 0.5 million formal jobs have been created in the first two years of the tenure. New Delhi (Sputnik) — The Indian Government foresees slower economic growth of 7.1 per cent for the financial year 2016-17 due to the slowdown triggered by Indian PM Narendra Modi’s gamble of banning all high currency notes. The economy clocked 7.6 per cent growth in fiscal 2015-16 and was poised to perform better. The latest official data has confirmed a downfall in manufacturing, mining and construction. The slowdown in these job generating sectors should worry Modi as he had promised jobs to more than 12 million new entrants to the workforce every year. Some adverse impact is also due to Modi’s demonetization as the banning of currency notes is called. “Most of our indicators are based on real performance. As and when the data shows up the impact of demonetization, the estimates will be adjusted accordingly. We are not in a position to speculate and as a matter of habit we do not use untried methods to assess GDP growth,” says TCA Anant, Chief Statistician of India. Nikkei India Services Purchasing Managers’ Index shows that service sector contracted in November and December mostly due to demonetization of Rs 500 and Rs 1,000 currency notes. Manufacturing sector also witness a contraction in December. Slower growth prediction has forced the industry to demand incentives from the government in the annual budget to be unveiled on February 1. “We look forward to reduction in tax rates and further policy push to support demand and investment in the upcoming Union Budget. An economy with wider tax base and robust growth will help fund the capital and social expenditure for the larger benefit of the economy,” said Pankaj Patel, President of industry body FICCI. India has managed to remain the world’s fastest growing major economy ahead of the 6.7 per cent growth in China since 2015 but Modi’s demonetization drive may force India to lag behind again.